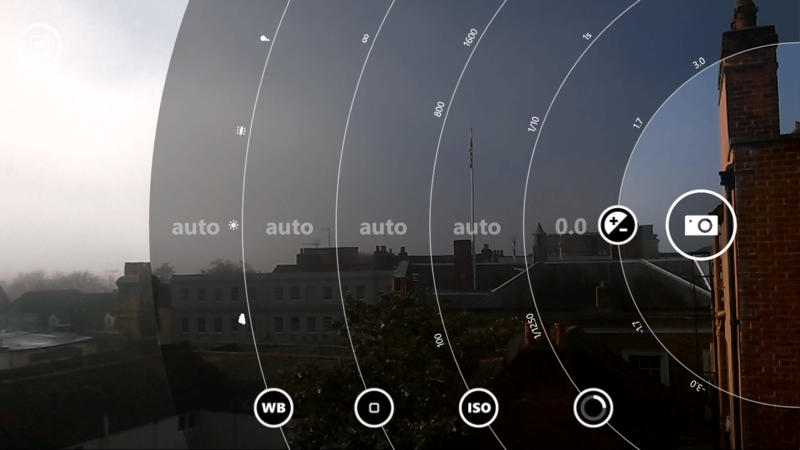 This morning I saw on my Store app on my Lumia 1320 there was an app update for Lumia Camera. I was giddy as I thought it was the much anticipated version 5.0 of the app (even though my phone won’t be able to take advantage of some of the more cool features). But alas, it is not version 5.0 but rather a bug fix update. Everyone can take a breath now. point for Lumia users now that Lumia Denim is rolling out. (For all of the updates in Lumia Denim and Windows 8.1. Update 1, check out my Guide to Lumia Denim). For those of you on non-Lumia devices, you probably know this but… you can’t get this app on your devices. This app like all of the Lumia branded apps are exclusively for Microsoft/Nokia Lumia devices. If you haven’t by chance tried Lumia Camera, I personally think it is one of the best camera apps for Lumia devices out there. It has a wide range of manual controls but also can be point-and-click easy.